POTATOMIKE's commitment is to provide Laura's work to you commission free. To purchase a piece of Laura's art that you like, click on the image and proceed to payment. Prices for artwork do not include credit card charges, taxes or shipping, which is added at checkout and once shipping prices are confirmed. Laura’s artwork is an exploration of natural patterns. Her main thesis is a study of water forms as a metaphor for thought patterns. Through photography and painting, Laura experiments with abstract imagery inspired by nature and her inner understanding of micro and macro patterns. Her images could be celestial or microscopic, this is her understanding of "as above, so below". Laura is a graduate of Maryland Institute College of Art with an MFA degree in Studio Art. She uses experimental techniques with color darkroom photograms, video and large format printing. Laura continues to expand her explorations via both photography and painting. 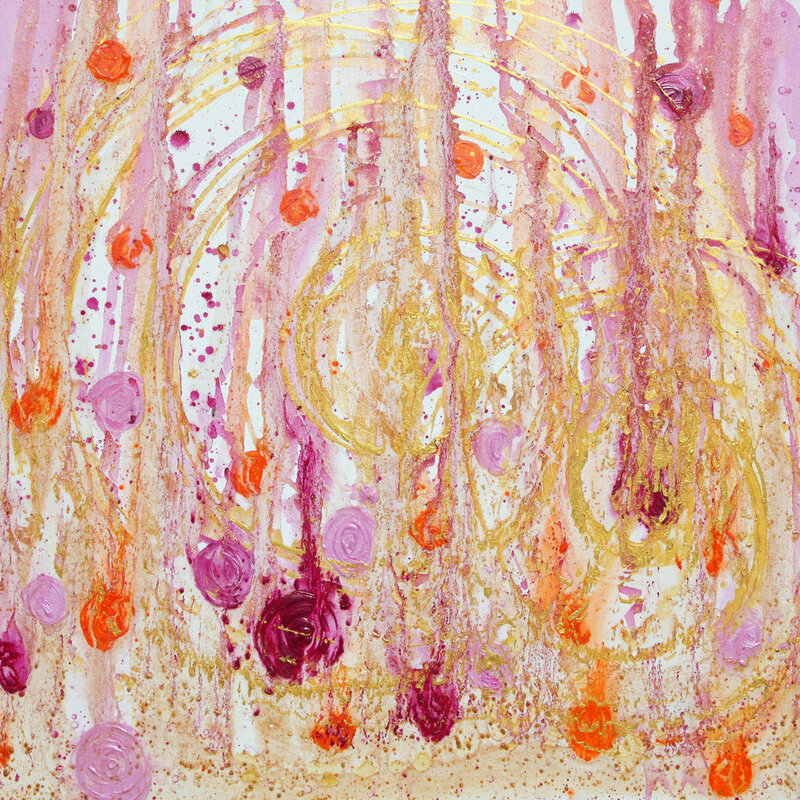 Her painting series are well exhibited in New York City and at Art Fairs. 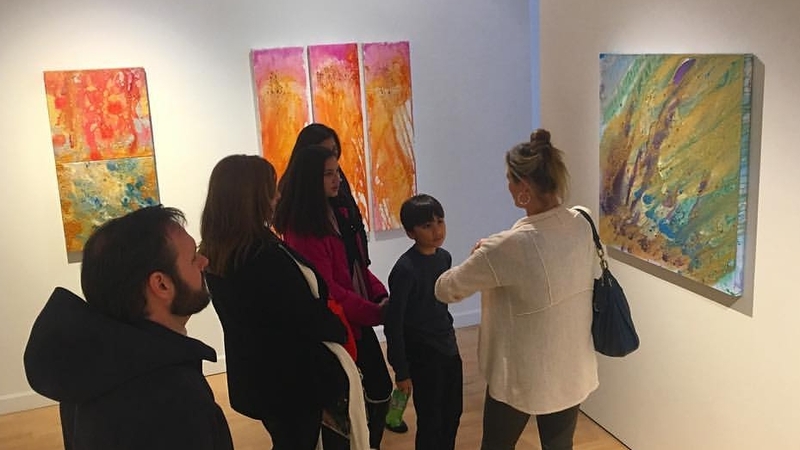 Laura's recent work is on display at Ashok Jain Gallery. This is a great opportunity to see her new series called "Sonic Crystallographic." Click here to be notified of her upcoming exhibitions or check back again and again! Laura McClanahan is an exhibiting artist known for her abstract photography, photograms and video. She is a 2007 graduate of Maryland Institute College of Art with an MFA in Studio Art. She is represented in Galleries and Art Fairs by Divergence Fine Art and featured in Solo Exhibitions by Simon Gallery in Morristown, NJ. Laura gives gallery talks and lectures about her experimental processes and concepts to gallery and university audiences. Certified in Art Education from Parsons and Bank Street in NYC in addition to her undergraduate design education from Lehigh University, Laura teaches Art, Architecture and Graphic Design at Rutgers Preparatory School in New Jersey. 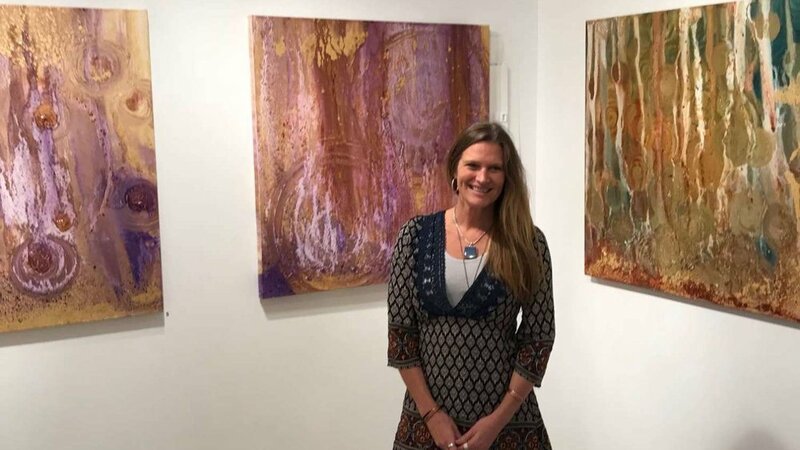 As owner of Laura McClanahan – Fine Art & Design, she teaches intuitive art classes, coaches as a private mentor for artists, and collaboratively creates graphic design projects with artists and entrepreneurs. Laura McClanahan is the first member of Hunterdon Art Museum in Clinton, NJ to receive the Solo Show Exhibition Award. The exhibition ran from October 11th through November 22nd, 2009. 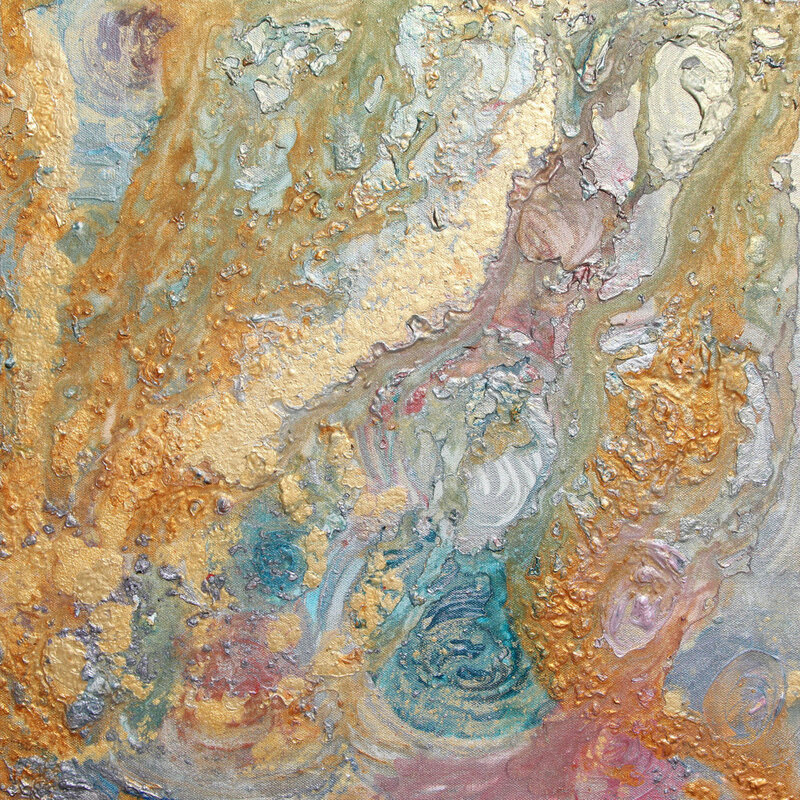 Confluence is a series of paintings by Laura, where she uses acrylic, resin and quartz on canvas. The paintings help to clear the immediate area around the painting from electromagnetic radiation and restructure Wi-Fi that may be throwing our bodies out of synch. 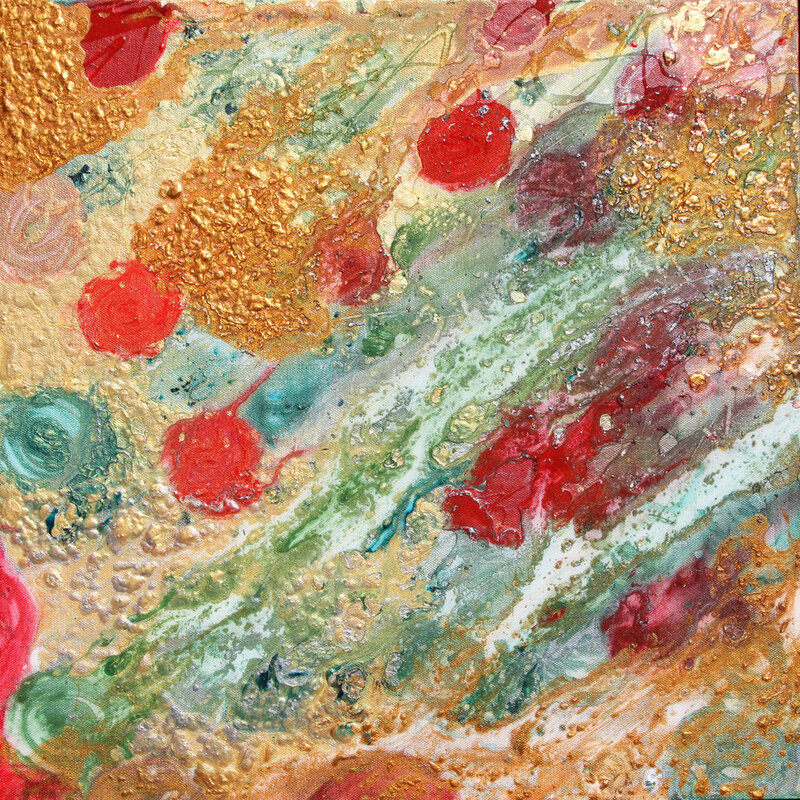 This work assists living in tune with the world and finding synchronicity and harmony in daily life.